Paperback; 62 pages. 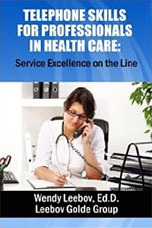 Hones in on telephone skills customer service. How to handle the phone with professionalism, tact and impressive customer service. Scripts, self-assessment tools and practice exercises. Great for staff development.